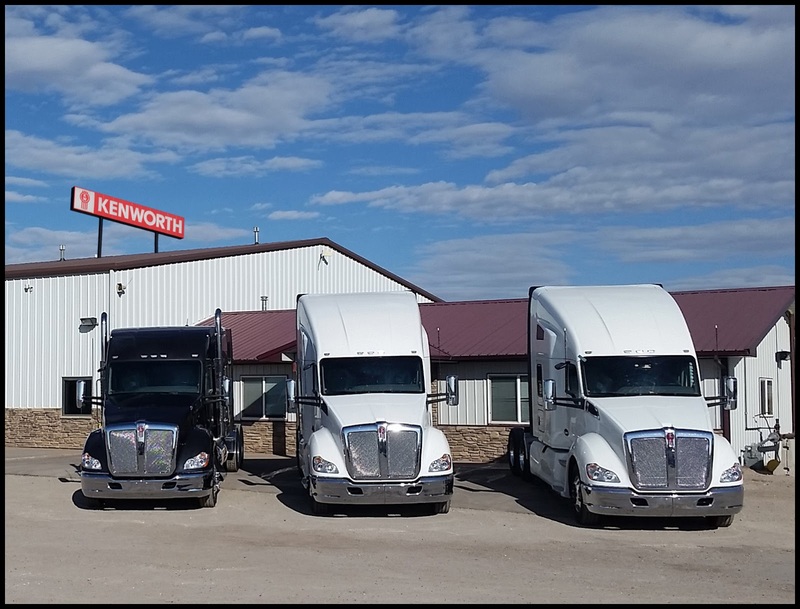 CHEYENNE, Wyo., Oct. 27, 2017 – To maintain Kenworth’s highest standards for dealer service at the MHC Kenworth dealership he manages in Cheyenne, Marc Hess knows he must attract more young people to the career opportunities at MHC Kenworth. Convincing young people that they can stay in Cheyenne, have a rewarding career and make a good living is a task often made even more difficult by the varied job and career experiences of older siblings and friends. That’s why the Kenworth PremierCare® Gold Certified MHC Kenworth – Cheyenne branch manager has chosen to take a more proactive approach. Hess maintains strong relationships with educators at a local vocational-technical school, and provides students with opportunities to learn more about the work of his dealership’s technicians through a supervised apprenticeship program over the past few years. Recruiting technicians in a small community like his own can be made much easier by exposing more young people to the work they could be doing as diesel technicians, he said. Through this exposure, students can see what opportunities are available to them, particularly at Kenworth dealerships in their hometowns. Hess believes recent events have made his efforts even more important. Earlier this year, the University of Wyoming eliminated its technical education program. Meanwhile, the `Wyoming Legislature currently faces a deficit somewhere between $240 million and $530 million in the education fund for the two-year budget cycle starting in 2018. The Legislature hired a new consultant firm to take a fresh look at the state’s education funding model. Some legislators believe significant reductions in vocational education would allow the state to focus on more core content programs like mathematics, science and language arts. “Limited school resources and few networking opportunities among people in professional trades cause young people to believe that career opportunities in technology outside of computer or mobile app programming largely don’t exist,” Hess said. “We must change that perception. According to the Advanced Technology Institute, the college board and the Bureau of Labor Statistics, students can complete training in diesel technology in less than half the time it takes to complete the requirements for a four-year degree. Tuition at a vocational school costs 50 percent less and diesel service technicians and mechanics can make nearly as much money as a four-year college graduate in their first job out of school. “When students learn about the technology our technicians use, as well as the resources and continuing education we offer, they can see we’re dedicated to offering customers the highest level of service through the Kenworth PremierCare® Gold Certified program by providing our techs the best training in the industry,” Hess said. Gold Certified Kenworth dealers like MHC Kenworth – Cheyenne provide a range of premium services that go above and beyond industry standards to help fleets maximize uptime. Those services include extended evening and weekend operating hours, rapid diagnosis of estimated repair time in two hours or less, dedicated technicians with extensive and continuous training to use Kenworth TruckTech+ and service PACCAR engines. The Cheyenne dealership is one of four locations in MHC Kenworth’s Colorado region that hold Kenworth PremierCare® Gold Certified status.